Dark sky advocates are relieved. 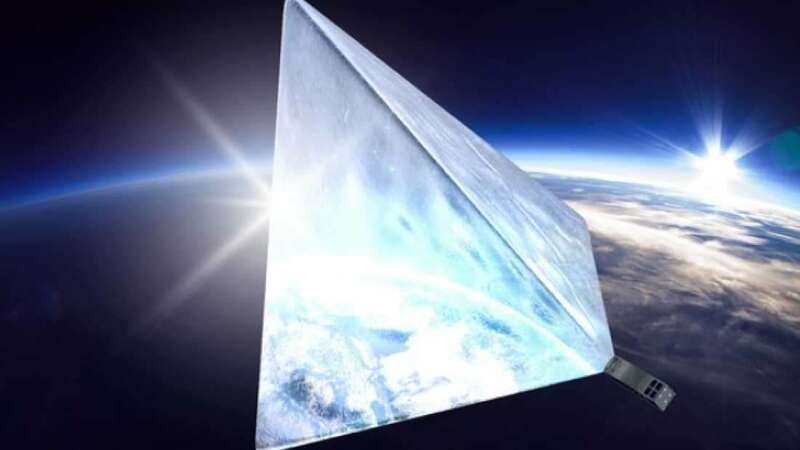 Russian engineers sent a small rectangular satellite into space last month, hoping that it would deploy an ultra-reflective pyramid and become the brightest “star” in Earth’s skies. This radiant venture, however, has failed. The scientists who built the crowdfunded, bread loaf-sized satellite “Mayak” announced this week that the pyramid did not emerge from its small satellite box after being launched into space on July 14. Along with 72 other intricately packed satellites, Mayak blasted into space upon a Russian Soyuz rocket. The private space venture irked some astronomers, who are already battling global light pollution in pursuit of dark night skies. To the relief of dark-sky advocates, it seems the Mayak scientists will abandon their efforts to produce a fake star, telling the Russian news agency TASS that another Mayak mission would be “uninteresting to the public.” The scientists expressed a desire to move on to other space endeavors. “But our team has a desire to engage in further astronautics, to work on other projects that could help in the development of outer space, but it’s too early to talk about specifics,” project manager Alexander Shaenko told TASS. The small Mayak CubeSat was just one of 73 satellites packaged together by the Russian launch services company Glavkosmos in July. Even if the Mayak deployed, it would not have existed as a luminescent artificial star in perpetuity. Its developers expected it to last for a month. The thin, foil-like material would eventually wither while orbiting Earth at 17,500 miles per hour. “We want to show that space exploration is something exciting and interesting, but most importantly that today it is accessible to everybody who is interested,” said Mayak’s program director Shaenko before the launch. It’s unclear what caused Mayak to fail, but it is now destined to join another some 500,000 chunks of space debris orbiting Earth. Along with a lost astronaut glove, exploded satellites, and millions more tiny, untrackable bits of debris, the almost-brightest star will sit inside a tiny space shoebox for eons.